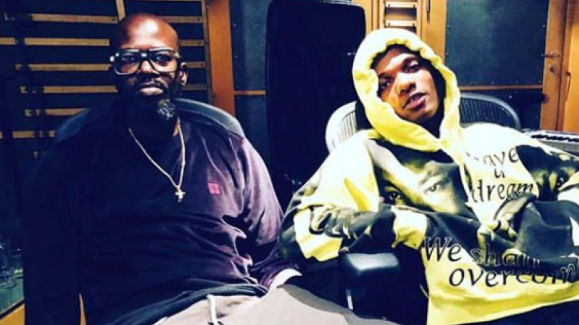 Wizkid has collaborated with South African Disc Jockey and producer, Black Coffee. The singer and the popular DJ were spotted together in a musical studio in London, United Kingdom. Both entertainers took to their Instagram accounts to confirm their collaboration. However, Wizkid and Black Coffee didn’t reveal much information on the collaboration but they confirmed working together on a song. Pulse can tell you that the collaboration is being handled by Steel Banglez, a British producer and solo artist who is signed to Warner Bros. Records. Black Coffeee wrote, “We cooking with the King @wizkidayo” as caption of his picture with Wizkid in a music studio. In the same vein, Wizkid wrote, “Royalty…cooking..” as caption for his picture with the DJ and music producer, Steel Banglez.